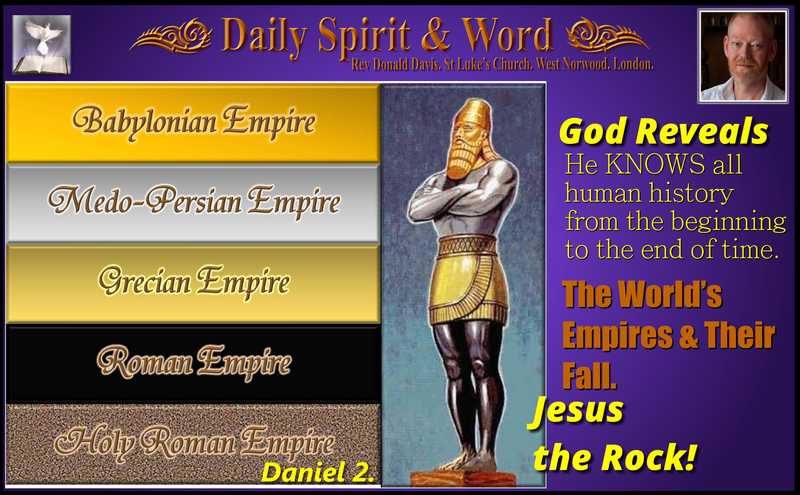 Babylonian name given to Daniel. When we are determined to live for Him. Yesterday we finished with a question, “Will the young Jewish boys be able to sustain their faith in an alien culture?” and also applied it to ourselves, “Will we be able to maintain the Christian faith in a culture that’s becoming increasingly intolerant of committed, Bible believing and evangelistic followers of Jesus?” Last night at our prayer meeting, that prayer was somewhat answered, there’s a growing determination and desire to bring about REVIVAL in our people, in our church and in our Land. Praise the LORD! Let’s play a game this morning; We’ll have a go at changing the Babylonian name. Let’s break it down; Baby and Lonian… The first part is easy; Baby and the second part brings a smile to my face; Loonies… So we have Baby-Loonies… 🙂 I know, I know, “What a weird sense of humour you have Donald”, but let not forget that they really did change those boys names. They repeatedly called them by their new name and over the years they started calling one another by their new Babylonian names. Today, we’ll notice that not only were these boys; without any physical defect, handsome, showing aptitude for every kind of learning, well informed, quick to understand, and qualified to serve in the king’s palace, they were also determined to preserve their individuality, integrity and faith in the Lord God Jehovah too. 12 “Please test us for ten days on a diet of vegetables and water,” Daniel said. 14 The attendant agreed to Daniel’s suggestion and tested them for ten days. 16 So after that, the attendant fed them only vegetables instead of the food and wine provided for the others. It was an immense privilege to be given the exact same food as the King of the Babylonian Empire every day. They ate the food from the King’s table… WOWzer. Those boys were given the privilege of actually being victualled in, they were expected to eat the King’s food, so the chief steward was frightened when Daniel and his friends refused to eat it. Daniel was very wise though, as stated yesterday, they were wise enough to choose their ‘spiritual’ battles wisely. In verse 12 we read, Daniel said, “Please test us for ten days on a diet of vegetables and water”. It was a suggestion that seemed reasonable, a period of testing, to see if they fared well without the King’s food. Why did Daniel refuse to eat the King’s food? Well he probably knew enough about the preparation of the food, that it would have been sacrificed and offered to the Pagan gods of the Babylonians first, by eating it, Daniel believed he’d be contaminating or defiling the temple of his body. He was part of God’s chosen people upon the earth, they Jews had strict dietary prohibitions and Daniel and his friends knew the LORD’S commands regarding unclean food. They were determined to remain pure in this regard. 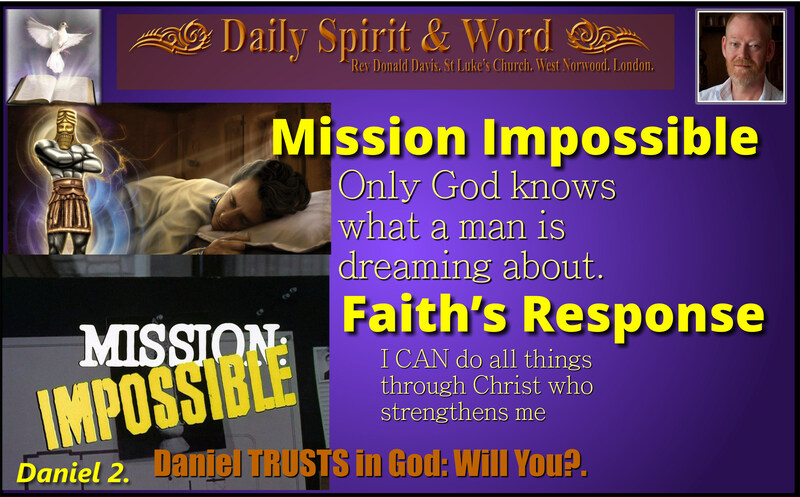 Notice how God had prepared the way for Daniel and his friends: Verse 9 “Now God had given the chief of staff both respect and affection for Daniel.” Respect and Affection: The chief steward had respect for Daniel, that must have included Daniel’s faith and trust in the LORD. 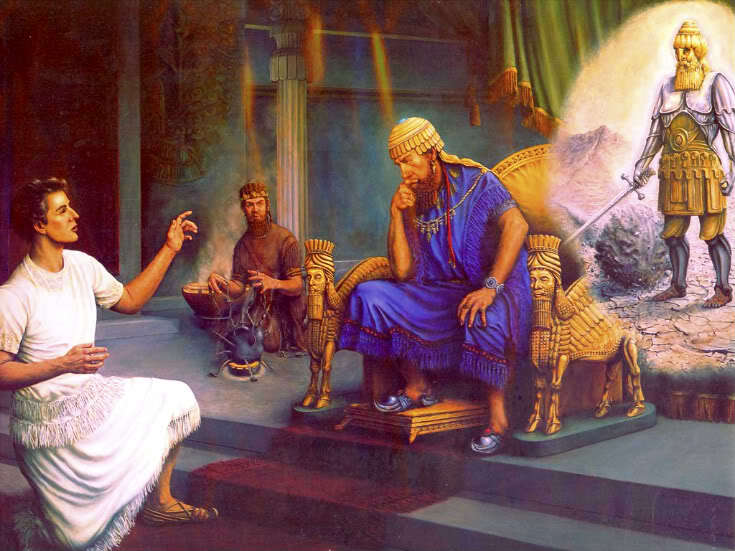 Obviously over the long journey from Jerusalem to Babylon, it would have taken many days to travel, he’d built up a relationship and Daniel had earned his respect and affection. You’ll notice this same thing happens time and again in the Bible, when God’s people are in great need, He’s there for them, He sends his helpers alongside His chosen people: Moses had Aaron to help him speak, Eli was sent Samuel when his own sons didn’t perform for the Lord, David had the respect and admiration of King Saul’s son and 50 fighting men, Elijah had his Elisha, and our Lord’s Disciples were sent out in twos… You ARE NOT ALONE in an Alien Culture my friends. My friends, don’t be surprised by this, the LORD can prepare the way for you in this alien world, He can give you friends and support from places you’d never choose yourself. People will come to your aid and you’ll be astonished how the LORD moves in your life sometimes. I had that so many times now, that though I’m always overjoyed and thankful, I’m not totally surprised. The LORD has promised good to you, those who love the LORD Jesus Christ and are determined to serve Him with their lives. Be prepared to be looked after, to win the affection and respect of some of the people in the world, who don’t yet belong to the Lord’s family. 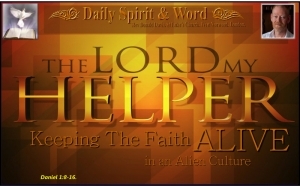 Even now the LORD is putting in place in Government people who’ll speak up for Christian rights, He’s bringing people into your life whom He’s prepared many years ago, they are strategically placed and positioned by the LORD to help you in times of need. But don’t trust in them, keep your focus upon the LORD. For me the moral of today’s focus is this; Though this world may seem like an alien place, God has not left you completely to your own devices, skill or strength. God will prepare the way for you when you determine to live your life for Jesus Christ in the world. 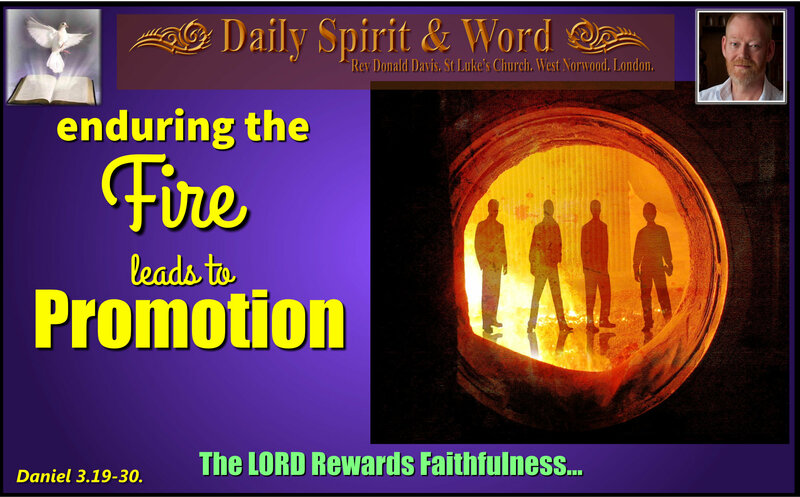 He will make provision for you when the time of crisis comes, but all you have to do is trust in Him and live for Him as Daniel and Shadrach, Meshach and Abednego did. Think back over your Christian walk and you’ll soon see how the LORD has been watching out for you too.